April 26, 2011  The flooding season has arrived in parts of the Midwest and South. It's especially worrisome in southern Illinois and Missouri, where some big rivers are starting to spill over their banks. April 18, 2011  The law taking collective bargaining rights from most of the state's public employees remains on hold while it's challenged in the courts. 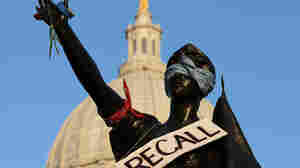 Meanwhile, the fight has moved to its next phase: recall elections. In all, 16 state senators — Republicans and Democrats alike — are being targeted in this unprecedented effort. April 4, 2011  An open records request by a conservative think tank in Michigan seeks all emails related to the collective bargaining standoff in Wisconsin from labor studies professors at three public universities. The request came just days after the Republican Party of Wisconsin made a similar request of a professor at that state's flagship university in Madison. The professors in question say the requests are highly unusual, smack of McCarthyism and are an attack on academic freedom. Republicans counter that they don't need to give a reason for such "routine" requests and call it chilling that they would come under fire for "lawfully seeking information about their government." 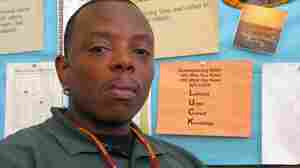 March 27, 2011  In one of the most ambitious mentoring programs in the country, Chicago Public Schools are assigning paid mentors to teens at risk of becoming victims of gun violence. Under the $20 million program, mentors counsel the teenagers in and out of school, help them find jobs and teach them life skills. March 24, 2011  One of the most dangerous times of day for teenagers is after school. That's especially true in the gang-infested neighborhoods of Chicago, where police and school officials are enlisting military veterans to help protect kids on their way to and from school. March 21, 2011  Nearly 700 children were hit by gunfire in Chicago last year — an average of almost two a day. Much of the violence is attributed to gangs in specific parts of town. That has the mayor, police and school officials looking for ways to control what some call an epidemic of youth violence. 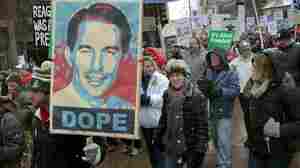 March 2, 2011  Wisconsin Gov. Scott Walker outlined his spending plan Tuesday. He wants to cut $1.5 billion from public schools and local government to close the state's budget deficit. Walker has been in a public battle over the budget and proposed changes in dealing with public employees unions. March 1, 2011  Republican Gov. Scott Walker's two-year spending plan will likely include major cuts to schools and local governments to help close a projected $3.6 billion budget shortfall. State funding for schools is expected to fall by $900 million — a 9 percent drop. February 22, 2011  In the Wisconsin state Capitol, where round-the-clock protests against legislation that would take away nearly all collective bargaining rights from most public employees in the state not only continue, but are getting louder. The so-called budget repair bill that has drawn the nation's attention to Madison is now being debated in the Wisconsin Legislature's lower chamber — the state assembly. 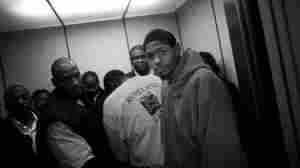 February 22, 2011  After seven days of protests by union members opposing Gov. Scott Walker's plan to strip collective bargaining rights, the issue is at a stalemate. Police and firefighters are marching with their counterparts, even though public safety unions aren't included in the bill. 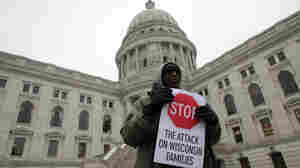 February 21, 2011  Protesters filled and surrounded the Wisconsin state Capitol Monday for the seventh day in a row. 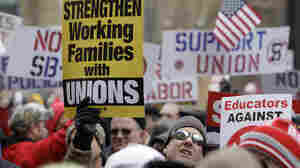 Unionized public employees are outraged over a plan put forth by Republican Gov. Scott Walker that would strip most collective bargaining rights from most government workers. Walker insists he needs that change to address the state's budget deficit. Wisconsin Republicans say they are going back to work even if they can't pass the bill in the state Senate — because Senate Democrats left town. February 21, 2011  Demonstrators angered by the governor's budget-repair bill, which would eliminate most of the collective bargaining rights for public employees, are expected to overflow the state Capitol for a seventh consecutive day Monday. 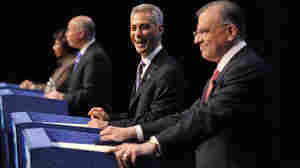 February 19, 2011  The first round of Chicago's mayor election is Tuesday. There are six candidates on the ballot, but the race has essentially come down to a contest between the former White House chief of staff and the rest of the field.